Honeybuns at Stafford is situated in the heart of the Stafford community. The nursery is registered for 59 children and offers all the latest facilities. Honeybuns Day Nursery offers a really flexible solution to all your childcare needs. We are open from 7.30am to 6.00pm every day (only closed for bank holidays). Your child can attend all year round or term time which is 38 weeks per year. You can add up to two hours to an AM or PM session (subject to availability). Your child can attend extra sessions on an ad-hoc basis at short notice (subject to availability). We also cater for shift patterns whenever possible. Nursery Education Grant Funded Flexible hours are available. 7.30am – 6.00pm Monday to Friday (Closed Bank Holidays and Christmas Week). 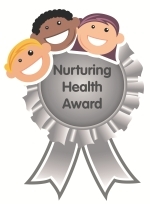 Honeybuns Stafford have been awarded the ‘Platinum’ level of the Nurturing Health Award 2015. This award recognises that Honeybuns Stafford provide excellence in the provision of nutrition, physical activity, health policy development; health related learning activities, partnership with families and staff involvement.